Mohali, April 9: David Warner took a sly dig at R Ashwin in relation to the 'Mankading' controversy during Sunrisers Hyderabad's IPL game against Kings XI Punjab on Monday night. In the seventh over of the SRH innings, Warner was at the non-striker's end when KXIP skipper R Ashwin came to bowl and the Aussie was spotted exaggerating his backing up as Ashwin delivered the ball. That wasn't the end as Warner kept at it and acted to be much more cautious when at the non-striker's end during Ashwin's overs. Kings XI beat Sunrisers by six wickets in a thrilling last-over finish. 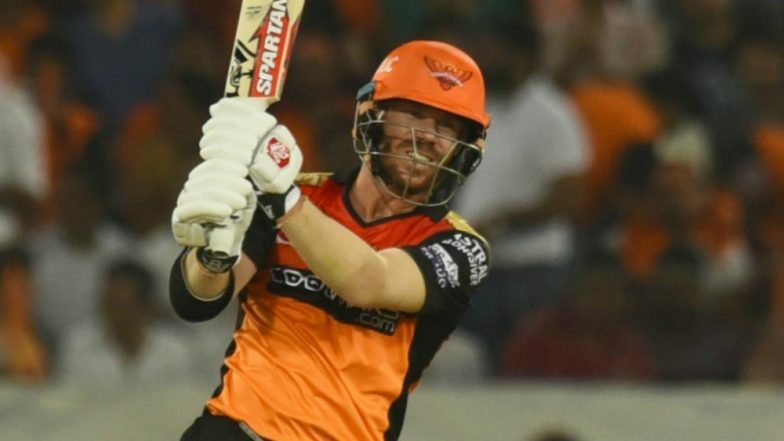 Warner helped Sunrisers post a modest 150/4 with an unbeaten 62-ball 70 - an innings which was unlike his usual aggressive knocks. R Ashwin on 'Mankading' Rajasthan Royals Jos Buttler: My Conscience is Clear, There is Nothing to Defend.